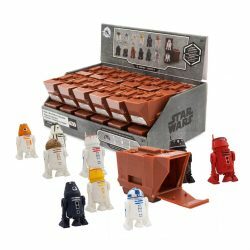 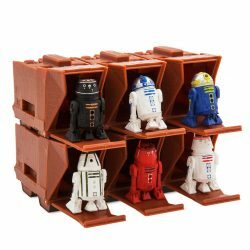 If you like droids, Disney now has their blind boxed Mini Droid Collectible Figures available to order online. There are 12 different astromech droids, and like their Droid Factory counterparts, have interchangeable heads and arms. 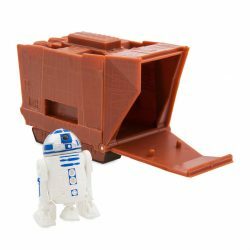 Each droid comes packed in a box that looks like a Sandcrawler and retails for $4.95. 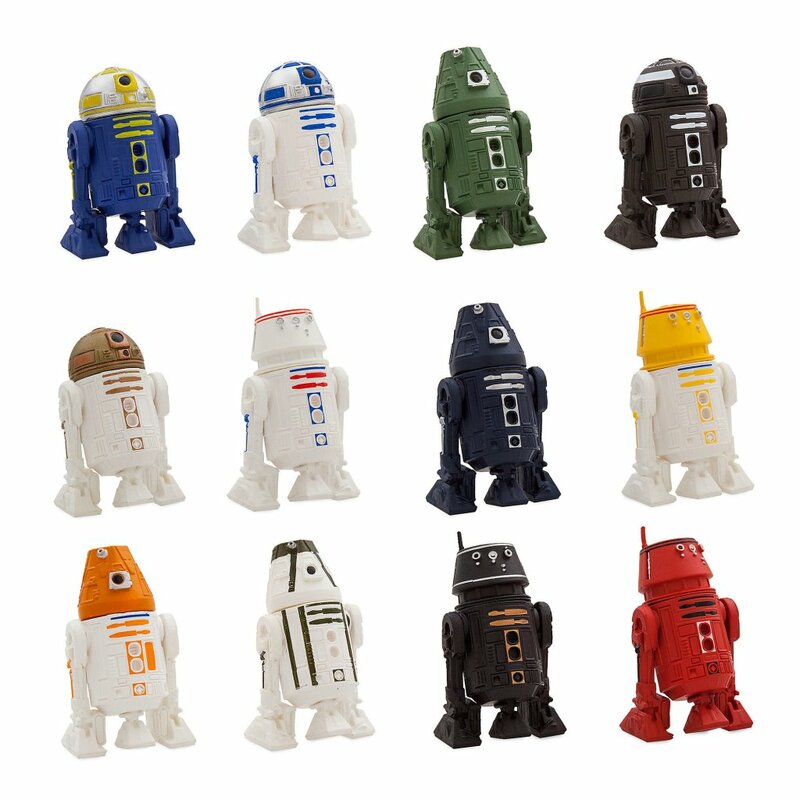 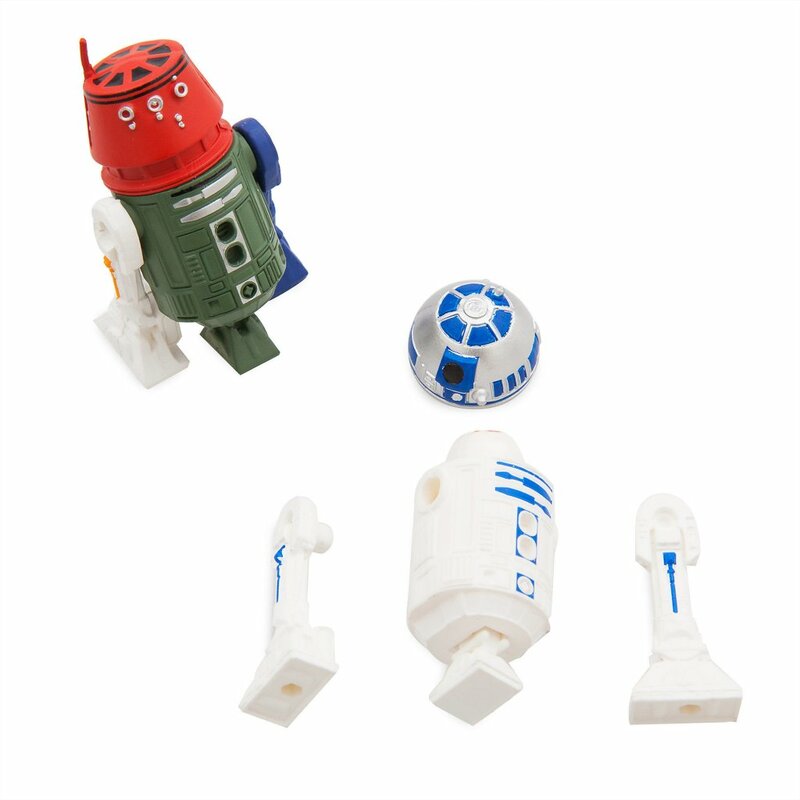 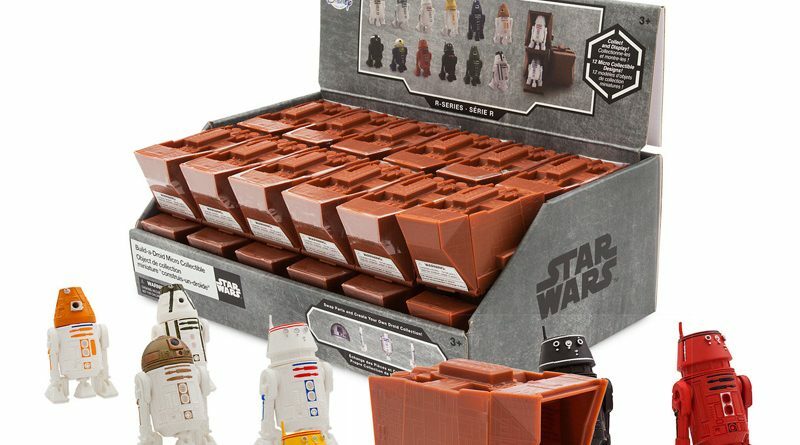 The Mini Droid Collectible Figures are smaller than the standard Droid Factory figures, listed on the website as 1.5-inches tall.